Astrid McLeod visited Riebeek Kasteel on a whim and did what many city folk only dream of: she stayed. When a friend visited, she promptly bought what she laughingly refers to as “the ugliest house in town”. It didn’t stay ugly for long, though. Astrid set about renovating it and turning it into a gorgeous country getaway for city escapees and local and international visitors. 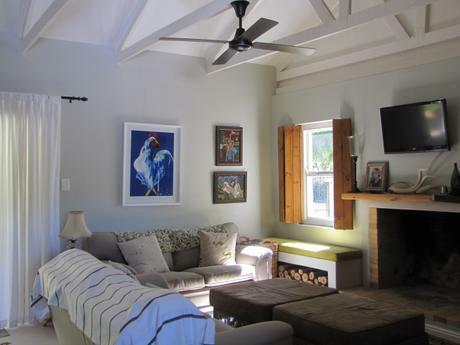 The self-catering cottage is stylish, understated and restful. 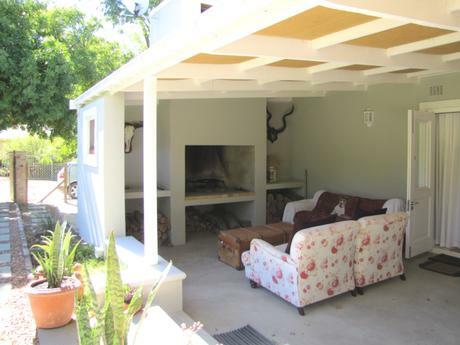 Your first view of the cottage is a large veranda with wrought-iron table and fireplace suitable for braais and chilly evenings. In front of the fire is a couch that tempts you to sit back and relax immediately, which is what a country getaway is all about really, at least for me. 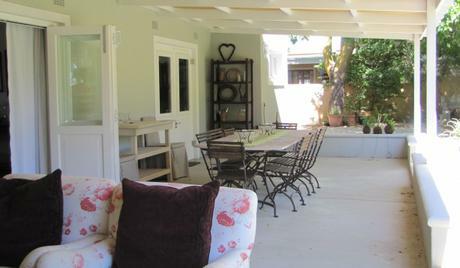 The veranda leads through wide stacking doors to an open plan lounge, dining room and kitchen; the lounge, too, has a fireplace, as well as a flat screen TV and DVDplayer (and DSTV on request), while the kitchen is equipped with a gas hob, electric oven and all the usual accessories, including a washing machine and dishwasher in the separate scullery. Two bedrooms – the main with double doors to the veranda and the second with double doors to the back garden – are fitted with queen size extra length double beds, top quality linen and fluffy pillows. 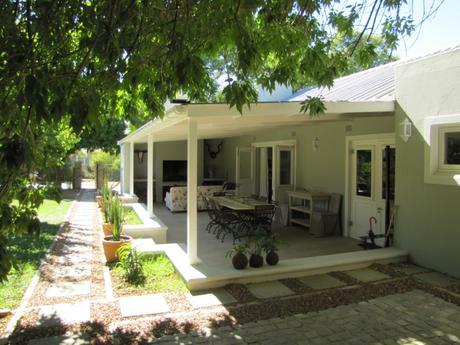 Astrid tells me that life in Riebeek Kasteel is anything but ‘small town boring”. It’s a vibrant community of farmers, locals, city-to-country converts and “swallows”. Swallows are the international residents who divide their time between homes in Riebeek Kasteel and their home country. 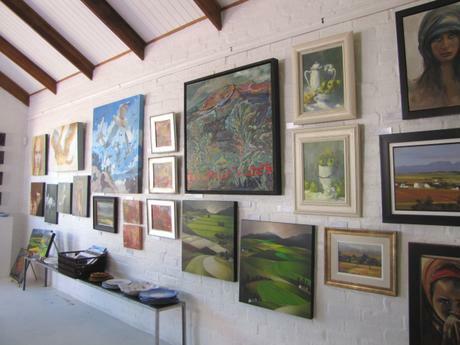 This diversity is experienced in all aspects of town life, including the shops and restaurants, and it is almost certainly part of what makes Riebeek Kasteel such a popular destination and perfect for a weekend break or a longer stay that allows one to explore the valley. 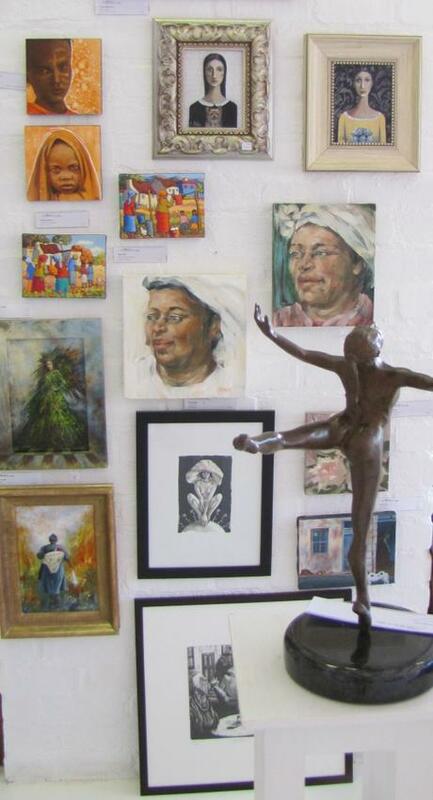 With extensive experience in the art world, it is not surprising that Astrid also opened The Gallery, where you will find a mix of art, sculpture and ceramics by emerging and established artists, with a strong emphasis on local artists. 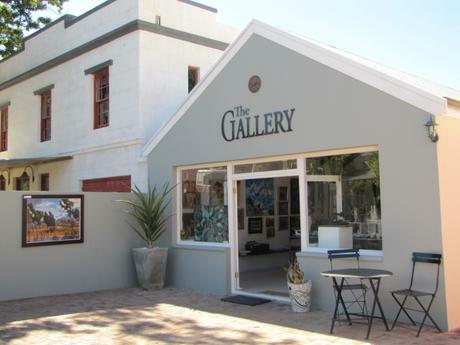 The Gallery is a must visit when you are in the area.